Google Dives Underwater to Launch "Sea View" of the Great Barrier Reef! 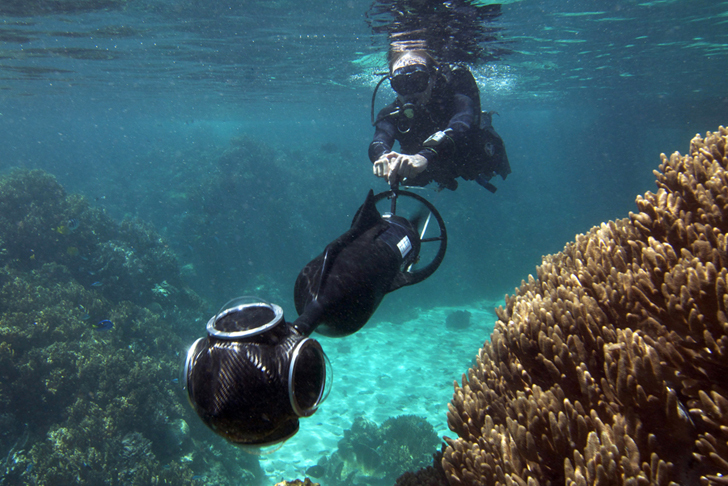 Google Dives Underwater to Launch “Sea View” of the Great Barrier Reef! Can you imagine taking a deep dive into the largest natural coral formation on Earth without leaving your desk? A joint effort between Google, the University of Queensland, and the Caitlin Group will soon allow you to explore into Australia‘s Great Barrier Reef through any device connected to the Internet. Dubbed the Catlin Seaview Survey, the project will study how tiger sharks, green turtles, manta rays, and other creatures are affected by global warming, while sharing the mysterious sea views with the world. The Catlin Seaview Survey will conduct and record a diagnostic on the health of the Barrier Reef through film and video. Four 360-degree cameras attached on Diver Propulsion Vehicles (DPVs) will be used for filming in shallow waters, while robotic subs will be used for deeper waters reaching up to 100 meters deep. Starting September this year, people from around the world will be able to visit YouTube,, choose a location deep underwater ,and go off on an unpredictable virtual dive! Can you imagine taking a deep dive into the largest natural coral formation on Earth without leaving your desk? A joint effort between Google, the University of Queensland, and the Caitlin Group will soon allow you to explore into Australia's Great Barrier Reef through any device connected to the Internet. 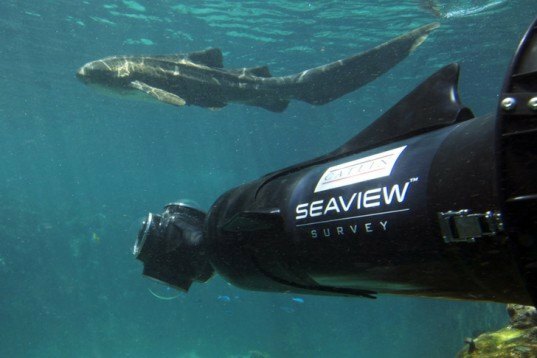 Dubbed the Catlin Seaview Survey, the project will study how tiger sharks, green turtles, manta rays, and other creatures are affected by global warming, while sharing the mysterious sea views with the world.